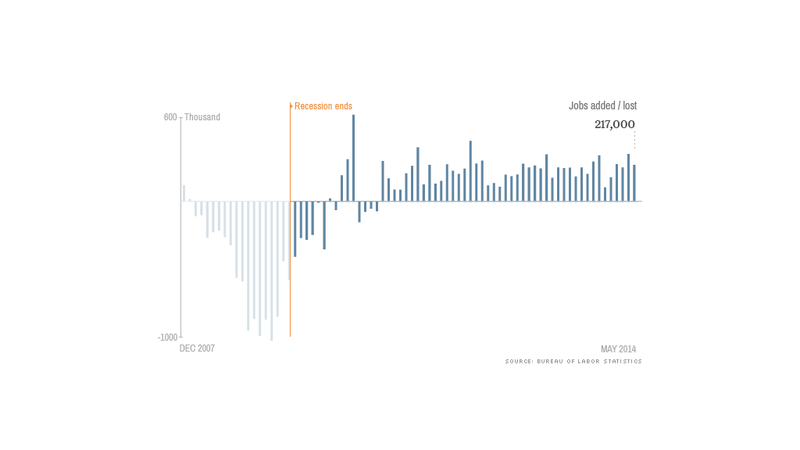 Employers have been creating new jobs for more than four years now. Add up all the monthly gains, and we're just a hair away from recovering the 8.7 million jobs lost in the financial crisis. That said, the economy still needs even more jobs to keep up with population growth. Economists surveyed by CNNMoney expect it could still take two to three years to get back to "full employment," with an unemployment rate around 5.5%.